The perfect person found him — and he looks so much better now! 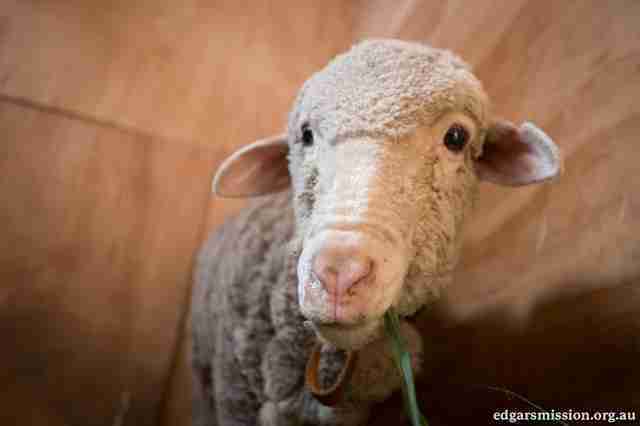 The moment before Lambert was thrown onto the ground, he was lying on the floor of a livestock carrier filled with sheep. 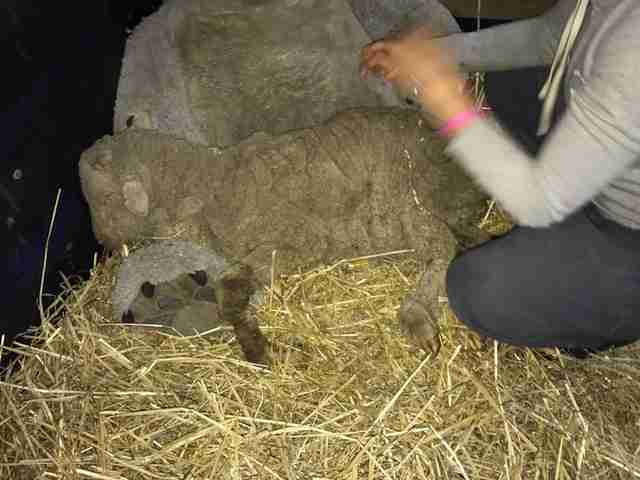 Workers had been unloading the sheep into a field, but Lambert couldn't move - he had a broken leg, and was likely blocking the way of the other sheep going down the ramp. But Lambert wasn't the only one in the way. Just moments before, a worker had spotted a dead lamb on the livestock carrier and tossed the body onto the ground. Then the worker saw Lambert. Even though Lambert was still alive, the worker carelessly tossed him out too. Lambert fell to the ground into a lump, and he struggled to get up. But he couldn't. A woman had seen all of this happen while she was driving past. She stopped her car, got out and asked the worker if she could take Lambert. "Yeah, you can have it," the worker reportedly told her. "We're only going to knock it on the head when we're finished." 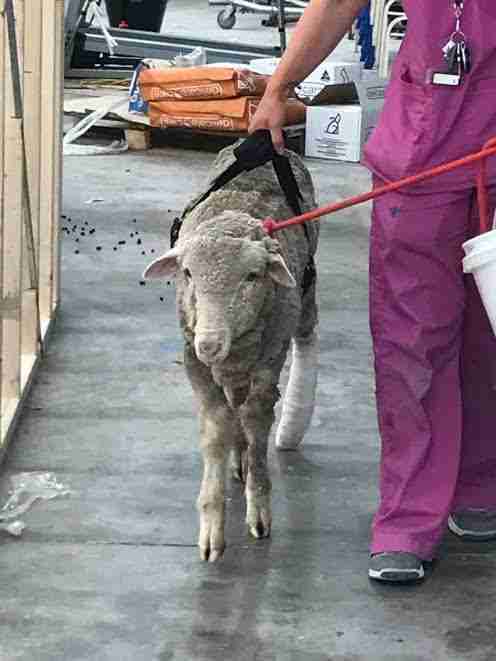 The woman scooped up Lambert, who was only 6 months old, and called Pam Ahern, the founder of Edgar's Mission, an animal sanctuary in Victoria, Australia. "I said, 'Of course I will help,' but to please send through a photo of the leg, so I could see what we needed to do this end to prepare for Lambert's arrival," Ahern told The Dodo. "The break was horrific and he was in a poor state of health to begin with." 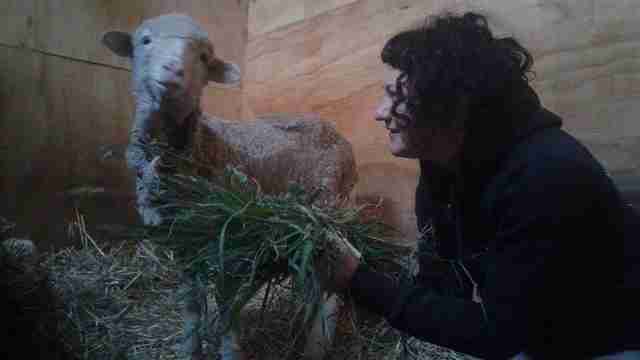 Ahern has rescued and rehabilitated hundreds of animals, including many lambs, and she wasn't one to give up on the sick or badly injured. Still, she worried about about Lambert's chances of survival. "He was very unresponsive," Ahern said. 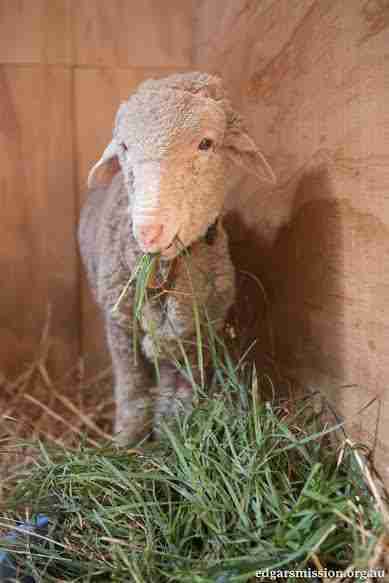 "[For] a lamb of his age, and with a lack of human contact, he should have been struggling to get away. But he just lay there with a blank stare in his glassy eyes. His body was all hunched up. He looked like he had pretty much given up." Ahern and the staff at Edgar's Mission initially tried to treat Lambert themselves, giving him pain relief and subcutaneous fluids. But they quickly realize he needed more intensive veterinary care, so they whisked him off to The Vet Practice, a nearby animal hospital. "First he was stabilised with IV fluids and drugs, then X-rays were taken to determine the extent of the injury," Ahern said. "We were to later learn from the vet the break was not recent, having been done several days earlier, which meant the poor guy have been in immense pain for some time." 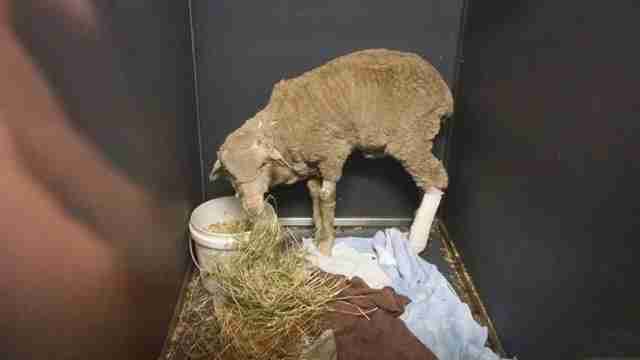 To fix Lambert's broken leg, the vet would need to do surgery, and insert metal plates and screws into the bone. Thankfully, Lambert was a model patient. "If he had become panicked, and crashed in the walls or tried to run away, it could well have been over for Lambert," Ahern said. "However, the team at The Vet Practice told us that he was really good to work with, never trying to flee." "He was one dear sweet boy who pulled at our heartstrings," Ahern added. "He had every reason and right to despise our species, but he didn't." Then, a couple days later, Lambert returned to the sanctuary, where he's currently recovering from his rough start in life. "At this stage it is stall rest for Lambert," Ahern said. "He will have a checkup at the end of the week to see how everything is healing." "He is slowly coming to terms with kindness," she said. "It is something that is so foreign to him, yet should be the right of every creature on the planet to be afforded kindness by humans." "Lambert's is indeed a story of hope," she added. 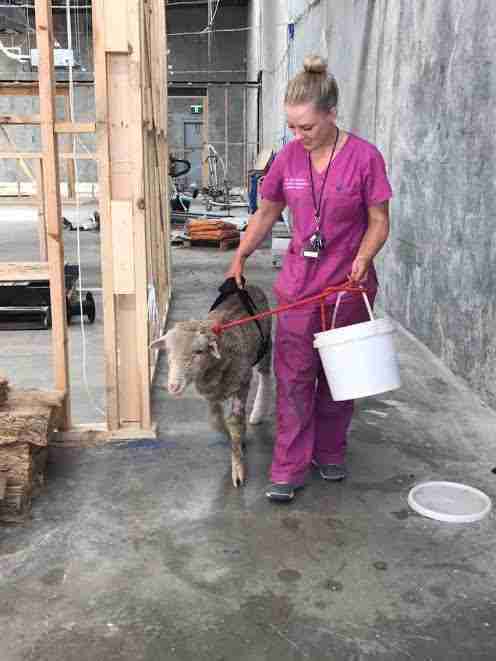 "And if the brave actions of one can change the future of one lamb, imagine the collective good we can all do to change the future of hapless animals like Lambert. All it takes is for us to follow our hearts." To help ensure that Lambert makes a speedy recovery, you can make a donation to Edgar's Mission.